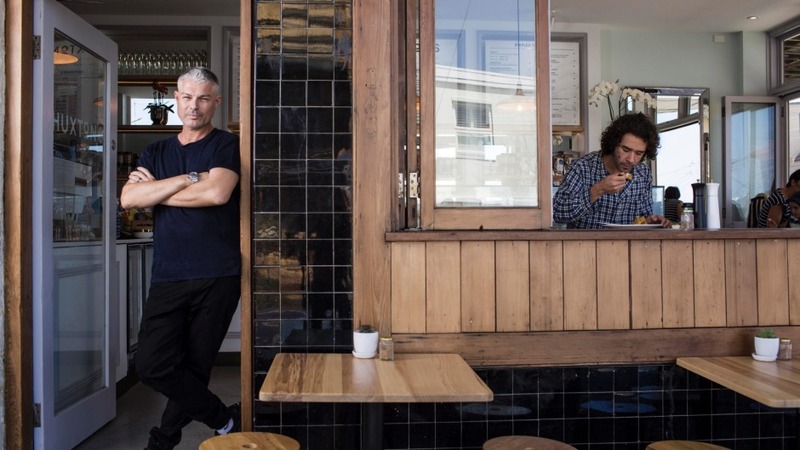 Huxton's, owned by Justin Bull, the former private chef to both James Packer and Russell Crowe, has lured some top-end kitchen talent to the small Bronte cafe. Lilly Fasan, the onetime executive chef at The Grounds of Alexandria, has joined Huxton's as head chef. While Fasan has lifted the daytime menu – her lamington's are the best this side of a CWA cook-off – Bull has started dinner service focused on Italian food, and has hired TV chef and former Bistro Moncur head chef Jason Roberts to cook it. "Lilly is helping Jason out, preparing her poached meatballs. Jason is knocking out everything from some pappardelle and ragu to fish in a bag with white beans and roasted cauliflower," Bull says. Roberts is a fan of his new environment: "There's something cool about cooking somewhere that's not a restaurant. People have a different attitude, they aren't in there to judge you." While he's just signed on to do a new TV series on Australian roadhouses, with former Sydney Swan Barry Hall, Roberts says filming won't keep him from the pans at Bronte.